I finally got up the courage to expose myself. Right: I entered “Two Minutes in the Slammer,” a flash fiction contest that inaugurated the 2nd annual Maine Crime Wave last weekend. 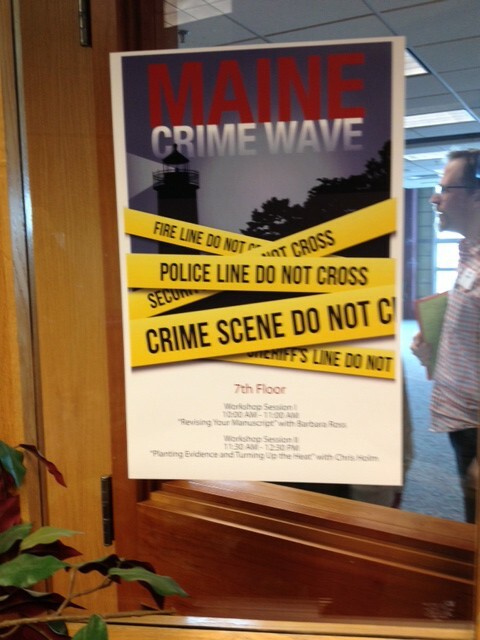 The conference is held at the University of Southern Maine and sponsored by Maine Writers and Publishers Alliance. It lasted only a day, but not a minute was wasted. The fun began Friday night. The flash fiction slam was hosted at the Portland Public Library by my favorite mystery blog, mainecrimewriters.com. The winning entries were “slams” indeed, uproariously funny and full of action, all in two minutes. The next time I slam, I’m going for uproar. I didn’t win that prize, but I got another one: Chris Holm, author of the Collector series of mysteries and most recently of The Killing Kind, told me he liked my story, suggested that I submit it to Thuglit, and then poured forth suggestions for other e-venues that could be appropriate for me! The story went in to Thuglit as soon as I got home, and the next one is being spiffed up for submission. 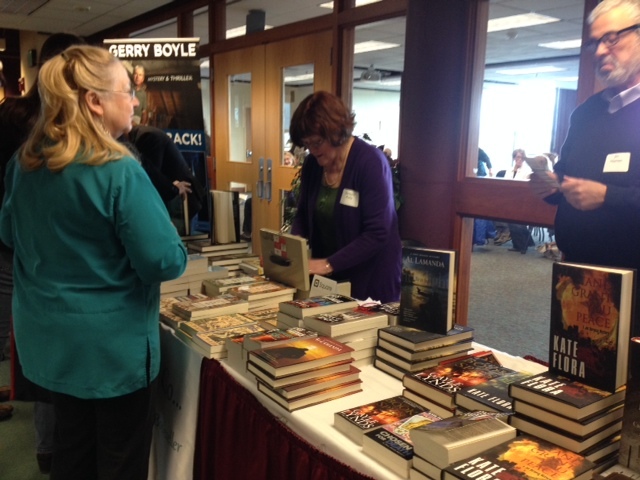 That’s the best aspect of mystery conferences: there are so many friendly and helpful people. Much-published and admired authors are generous with advice and encouragement. Sort of makes you wonder why literary authors have such a reputation for behaving like twits. The conference attendees are an equal attraction. At our post-slam dinner, I met Peter Murray, a retired police detective, now a chef. He’s doing research for a book based on the first unsolved murder in Westbrook, Maine, the bludgeoning of Abigail Stack on January 5, 1888. Over dinner, Pete told me about his work on the second unsolved murder – in 1987. Those Westbrook cops are good. Check out Pete’s blog, especially the post about the pigeons and the lady who tried to poison them with a mixture of whiskey and Alka-Seltzer. 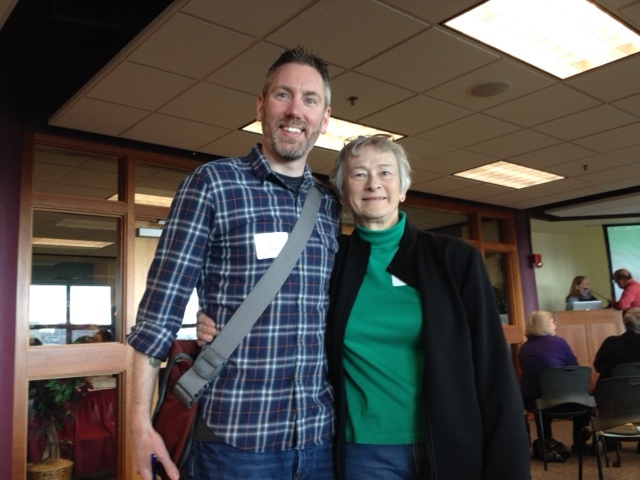 Barbara Ross, author of the Maine Clambake Mystery Series, gave a blockbuster workshop on how to revise your manuscript. Her handout is now one of my prized possessions. She advocates multiple read-throughs with revisions for one single issue each time. You take the issues in the order that will produce the least wasted effort on things that may disappear in revision anyway. I would have thought of that myself, in time. Sure. There was a certain amount of genre-blending at the conference. Sarah Graves, who writes the Home Repair is Homicide mysteries, mentioned that #11 in the series, The Book of Old Houses, was inspired in part by H.P. Lovecraft. And then there’s Chris Holm’s Collector mysteries, whose first volume I had just finished. See, there’s this dead guy, who’s been damned for murder and now has to collect the souls of other evildoers when their time comes. But being dead doesn’t mean being dumb. When he gets an assignment that just doesn’t smell right…. I picked up another Collector volume at the Kelly’s Books to Go table in the lobby, where speakers and audience alike were busting their book budgets. Barbara Kelly, the aforementioned bookseller, was on the final panel, the one on the business of getting your book sold to readers once you get it published. It was heartening to hear what enthusiastic fans booksellers can be, if you just take the trouble to make friends at your local bookstores. Barbara will sometimes take books she loves to a conference on a totally unrelated topic, and push them hard to attendees. The panel as a whole agreed on a new (to me) and upbeat concept: the “good rejection.” If your story comes back with comments, you’re onto something. The piece is just “not there yet.” So it’s worthwhile wandering in your personal wilderness yet awhile. 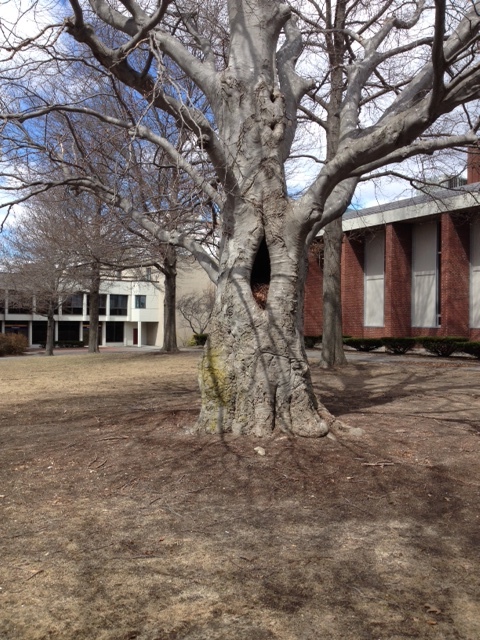 Posted on April 17, 2015, in Good Reads, Heidi Wilson, research, writing and tagged Barbara Ross, Chris Holm, Farnsworth Museum, good rejections, Home Repair is Homicide, Kelly's Books to Go, Maine Clambake, Maine Crime Wave, Maine Crime Writers, mystery conference, Sarah Graves, Thuglit. Bookmark the permalink. 3 Comments. I’m all for ferrets and mayhem. If your octopus can contribute more, then by all means bring him! And as for African witchcraft — Hell yeah! Does your anthropologist have any native African animals that can be conjured to add to this menagerie? If so, count me in (and I rarely read mysteries)! Wish I had gone! You met the most interesting people. And Thuglit! I must browse Thuglit. Heidi, I don’t think I would have had the energy to keep up with you! As always, you get the most out of any conference. Can’t wait to hear more about the revision process.